1994-2005 Mazda Miata MX-5 NB. These form the basis where the rest of the turbo system is built around. 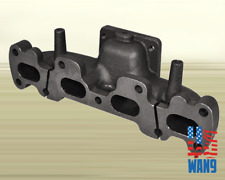 There is no match for durability and strength for cast turbo manifolds. Cast manifolds are more durable over long periods of constant heat cycles like daily driving. Includes 1 T3 4 Bolt Flange. Includes 1 T3 5 Bolt Flange. Includes 1 Front Mount Intercooler. - Standard 5 bolt T3 Downpipe Flange. - T3 Type 4 Bolt Turbine flange. - 5 bolt Exhaust flange. - Turbine. 63 A.R. - 2.48" Minor and 2.89" Major Propellar. New Begi Turbo Air Scooper w/mounting hardware. The 'Air Scooper'. It gathers air from beneath the car and channels 40% more air flow directly into the radiator. 1999-2005 Mazda Miata. Maximizing smoothest high exhaust air flow rate. 1 pieces desgin. High Performance Racing Spec Design. CNC Machine Flange for resistance against pressure and corrosion. Mandrel bends for strength and durability. 94-05 Mazda Miata 1.8L DOHC. 1x Cast Irion Turbo Manifold for 1994-2005 Mazda Miata1.8L. Cast Iron Material for Strength and Durability. Handle : Usually takes 24 ~ 48 hrs. 1x 2.5" Intercooler. 1994-2005 Mazda Miata 1.8L engine only. 1x 8 pcs 2.5" DIY piping kit. 1x Miata 1.8L Turbo Manifold. Universal turbo intercooler piping kit: Made of 6061 aluminum. Intercooler: Light Weight. Complete Turbo Kits. Miata MX-5. Intercoolers and Kits. Turbo Repair Kits. 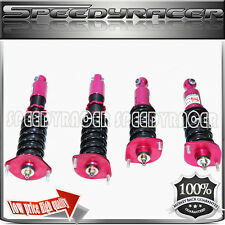 Coilover Kits. If a parts was successfully installed, went into service, and then failed, it may be eligible for warranty repair. 1994-2005 Mazda Miata MX-5 NB. Includes 1 Turbo Manifold. Increase Engine Exhaust Output and Efficiency. Mandrel bent piping made from high quality 16-gauge(1.5mm) austenitic T304 stainless steel. Material: 304 Stainless Steel. RADIATOR SPEC core size- 635 X 305 X 52mm (core size). - 100% light weight aluminum. We will work with you and solve the problem. CXRacing GT2871 Dual Ball Bearing Turbo Intercooler Kit For 1999-2005 Mazda Miata NB 1.8L Engine. GT2871 Dual Ball Bearing Turbo Turbo: GT2871 Ball Bearing. This is CXRacing's Newest Product for The Application Stated. 1994-2005 Mazda Miata NB 1.8L MX-5 Turbo Manifold Cast Iron Header. Condition is New. Shipped with USPS First Class Package. Donor car: 2004 Mazda Miata MazdaSpeed MSM MX-5. Radio Code: Unless specified, we do not have the radio code for the stereo/radio. Unless otherwise specified. All Used Auto Parts are sold As Is with No Warranty. MAZDA MIATA 04-05 (turbo, Mazdaspeed). Model: MAZDA MIATA. Type: Used. J & J Auto Wrecking was established in 1957! We are here to serve you and are always more than happy to hear from you. Part Grade Abbreviations. 1994-2005 Mazda Miata 1.8L engine only. 1x Miata 1.8L Turbo Manifold. Notes :This is a DIY kit, not a complete Bolt on setup. 1x 8 pcs 2.5" DIY piping kit. Universal turbo intercooler piping kit: Made of 6061 aluminum. 1994-2005 Mazda Miata MX-5 NB. These form the basis where the rest of the turbo system is built around. x1 Turbo Manifold. This manifold compatible with 1.8L engine only. Made of High Quality T304 Stainless Steel Material for Strength and Durability. 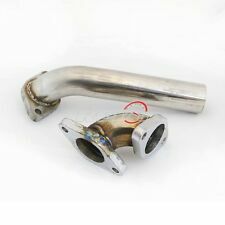 1 xUniversal turbo intercooler piping kit : Made of 6061 aluminum. 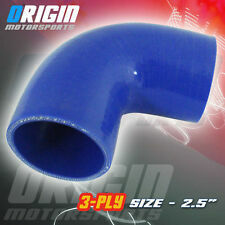 Support up to 350 hp for this small intercooler size - tube and fin style. Easy Mount Piping Set Included For Bolt-On. Including all necessary hardwares. Standard 5 bolt T3 Downpipe Flange. Turbo Specification Handle : Usually takes 24 ~ 48 hrs. M24 / T4 Compressor Housing. Fit any Manifold with T3 or T3/T4 4 bolt flange. T3 Type Turbine. Universal application. 2.567" or 65.20 mm exducer. 2.131" or 54.14 mm exducer. 2.756" or 70.00 mm inducer. All Mandrel Bent Piping With Beaded Flared Ends. High Performance Tube & Fin Racing Intercooler Unit. 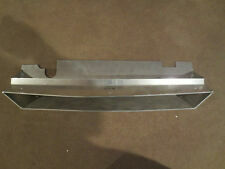 Intercooler Size: 28" x 7" x 2.75". Universal Custom DIY (Do It Yourself) Piping Kit. x1 Intercooler. 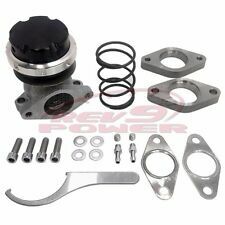 Universal 19 Row Oil Cooler Kit with oil filter relocation unit. An oil cooler is a cheap and efficient way to ensure that the motor oil will stay cool. The oil cooler kit allows you to hold more oil in the system which increases the cooling capacity. Cnc machined flanges. High quality t04e with a forged turbine propeller wheel! 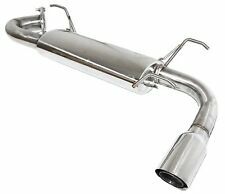 This provides a simple starter solution for connecting your turbo's exhaust to your existing exhaust system. NOTE: This is a universal Kit. MAZDA MIATA 04-05 (turbo, Mazdaspeed). Model: MAZDA MIATA. J & J Auto Wrecking was established in 1957! We are here to serve you and are always more than happy to hear from you. Part Grade Abbreviations. Condition: 85k. MAZDA MIATA 04-05 (turbo, Mazdaspeed). Model: MAZDA MIATA. Type: Used. J & J Auto Wrecking was established in 1957! We are here to serve you and are always more than happy to hear from you. T4 Compressor Wheel & T3 Type Turbine flange. adjustable knob increases HP and torque. Piping Kit. 36" Stainless Steel Oil Feed Line Kit. This kit might need to custom turbo manifold & exhaust for the complete compatible. 99-05 Mazda Miata Aluminum Radiator. Cap Drain. T4 Compressor Wheel & T3 Type Turbine flange. Aluminum Piping Kit. 36" Stainless Steel Oil Feed Line Kit. This kit might need to custom turbo manifold & exhaust for the complete compatible. Be Sure this kit is not Direct Bolt-on. 8 Blade Type T4 Compressor Wheel. Standard 5 bolt T3 Downpipe Flange. T3 Type Turbine flange. T3 5 bolt flange. T3 Turbine Housing. OIL FEED LINE 1x OIL FEED LINE. Turbine Specs . An oil cooler is a cheap and efficient way to ensure that the motor oil will stay cool. The oil cooler kit allows you to hold more oil in the system which increases the cooling capacity. Universal 19 Row Oil Cooler Kit (Bar & Plate Core). Strong & tighter fitting use hair spray between the pipe and coupler. Easy Mount Piping Set Included For Bolt-On. Including all necessary hardware. Our Blow Off Valves Are easily adjustable to prevent both premature boost leakage and compressor surge. TURBINE MODEL NUMBER : 7868. TURBINE HOUSING: T4 FLANGE /. 96 AR. TURBINE IN / OUT : 3" V BAND. AND WE WILL DO OUR BEST TO FIX THE PROBLEM. 1999 To 2005 Miata 1.8L. This hose will not work on the MazdaSpeed Miata. Donor car: 2004 Mazda MX-5 Miata MazdaSpeed MSM. Mazda MX-5 Miata MazdaSpeed MSM Intercooler NB 04-05 OEM This is a used item with normal wear. Radio Code: Unless specified, we do not have the radio code for the stereo/radio. TURBINE FLANGE : T3 4 BOLT /STANDARD 5 BOLT FLANGE. COOLING TYPE : DRY HOUSING ( OIL COOLED ONLY). AND WE WILL DO OUR BEST TO FIX THE PROBLEM. High Performance Bar & Plate Racing Intercooler Unit. Intercooler Size: 28" x 7" x 2.75". Universal Custom DIY (Do It Yourself) Piping Kit. x1 Intercooler. SILICONE COUPLERS. PIPING KIT. Increases Up To 65% Air Flow Compared To Standard Bent Piping. Turbine Flange: T3 Flange. Downpipe Flange: 2.5” 5 Bolts Flange. 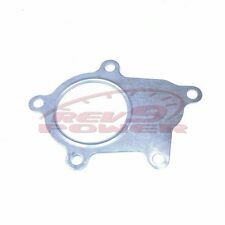 38MM TURBO WASTEGATE Universal Fit(Good for 4CYL and 6CYL Engine). UNIVERSAL 2.5” PIPING KIT Made of high quality T6061 aluminum. 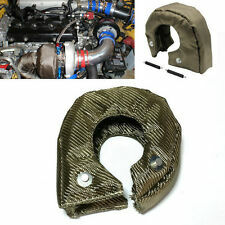 5 Blot Turbo Downpipe Flange Strong & tighter fitting use hair spray between the pipe and coupler. CNC machined flanges. High quality T04e with a forged turbine propeller wheel! 1x 5 Bolt Turbo Downpipe Flange. Turbine Specs T25/T28 Type Turbine. Turbine. 86 A.R. Turbine 76 Trim. M3 Turbine Housing. T25 4 bolt flange. Exhaust Outlet Flange with 5 bolt design. NOTE: This is not a direct bolt on turbo. High Performance Tube & Fin Racing Intercooler Unit. 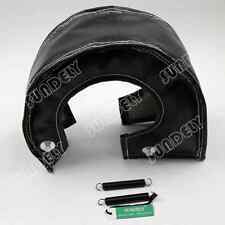 Intercooler Size: 26" x 11" x 3". Universal Custom DIY (Do It Yourself) Piping Kit. x1 Intercooler. SILICONE COUPLERS. PIPING KIT. Increases Up To 65% Air Flow Compared To Standard Bent Piping.